James Leman was a silk manufacturer and textile designer who established his practice in Spitafields, London. He commissioned other designers including Joseph Dandridge and Christopher Baudoin. Leman was of Huguenot descent and his father, Peter Leman, was a master weaver. James Leman took over his father's business in 1706. Ninety-seven of Leman's watercolor designs for fine silk cloth are bound in a design book dated 1706-1730 and can be viewed at the Victoria & Albert Museum, London. 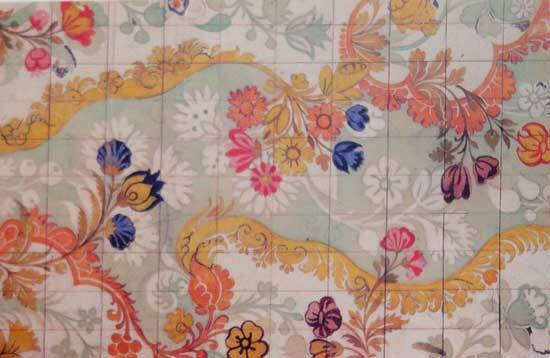 The very first design dated 1706 was created when Leman was still an apprentice. Later on, Leman played an important role with the Weavers' Company right up until his death in 1745. Natalie Rothstein stated in 'Silk Designs of the Eighteenth Century' that the only known silk woven from a design from the Leman album is in the Art Gallery of South Australia, Adelaide.